I've always loved garlic bread. The toasted bread. The butter. The garlic flavor! 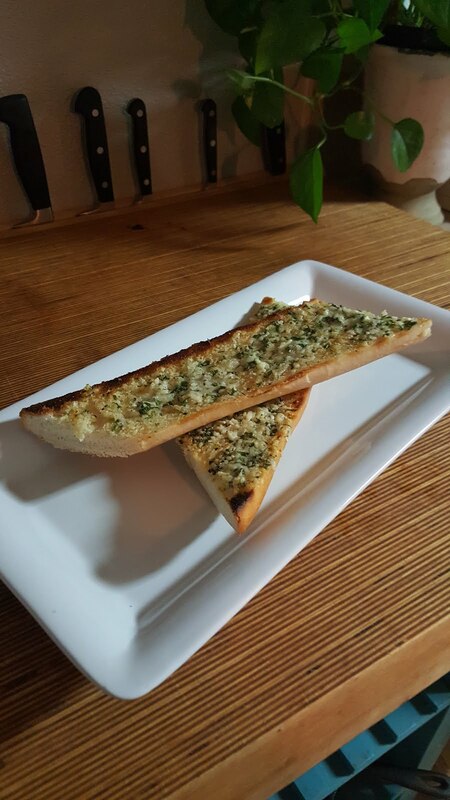 But the plain garlic bread can get boring, so I wanted to experiment with some flavors and ingredients to see what would make it better. I came up with the idea of adding lemon, Parmesan cheese, and parsley, and all of a sudden garlic bread was on a whole new level! Try serving it with Linguine and Red Clam Sauce! Combine the butter, lemon juice, parsley, garlic, Parmesan, and salt and pepper. Slice the Parmesan in to two halves. Spread the mixture evenly on the bread. Try to spread it as thick as possible. 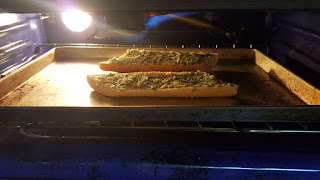 Place the bread under a broiler set to low. When the bread is toasted to a light brown, it is ready. The cheese and butter will likely not be melted.